These wedges are made in the traditional way using a pole lathe, a shave horse and a draw knife. One of our best selling items. If you have tried to buy a door wedge lately the chances are you can only find plastic ones, if you can find them at all. Fear not, you can buy them from us at Three Copse made of wood. 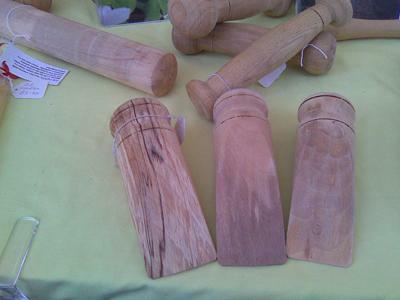 These wedges are made in the traditional way using a pole lathe, a shave horse and a draw knife. Not only are they simple in style but they look wonderful too. We generally use Beech (Fagus sylvatica) to produce them as it gives both strength and beauty.